The EnergySMART conference will be held on March 25th through the 27th at the Pennsylvania Convention Center in historic Philadelphia. The three days of speakers, breakout sessions and interactions with other professionals in the energy area are designed to help attendees run a more energy efficient organization. Registration is open with early signup discounts still available. 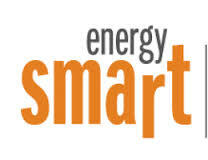 EnergySMART 2014 is focused on actionable, practical strategies that leading energy managers can employ right away to drive savings for their organizations. Commercial and Institutional Energy Management (C&I): Learn how to maximize demand response payments, manage energy purchases, and encourage greater efficiency in the C&I track. These sessions will focus on opportunities where lighting, HVAC, and plug load represent the majority of energy use. Industrial Energy Management: With more and more data at your fingertips, EnergySMART’s industrial energy management track will give you the tools to turn real-time data into actionable, cost-effective savings measures, tailored specifically for a manufacturing and heavy industrial audience. EnerNOC U: EnerNOC U is a program designed for EnerNOC customers or those interested in exploring a relationship with EnerNOC. This educational program will feature on-demand product demos, training sessions, and informational seminars designed to help you get the most out of the EnerNOC platform. Conference participants will also experience the innovative “SMART Bar” station.. Get a firsthand perspective on your organization’s energy data by using EnerNOC’s powerful energy management platform at the SMART Bar. Our engineers will be on hand to walk you through the opportunities for better energy management hidden in your organization’s energy data. Not a current EnerNOC customer? That’s ok – come take a personalized demo tailored to your specific needs. Schedule an appointment when you register or when you arrive to secure your spot. This event is developed with energy management professionals whom are working to better understand the energy landscape, identify new opportunities for savings, and learn how to get the most out of energy intelligence software. Attendees can expect to gain the latest industry perspective through world-class keynote presentations helping to discover emerging market trends and stay ahead of regulatory changes that could impact business. Kara Hurst, CEO of The Sustainability Consortium® (TSC®), is a featured speaker at the conference. Ms. Hurst has managed strategic consulting engagements for over 30 of the world’s largest companies. Her areas of expertise include corporate transparency, responsible supply chain management, social enterprise and industry collaboration. She will be sharing her insights and experiences during the conference. EnergySMART 2014 is the premiere place to network, connect and collaborate with others in this field. You can share best practices with the people who know your challenges best – your peers. Hear first hand how to turn challenges into opportunities and drive efficiencies throughout your organization. Regardless of where you and your organization are with your energy management efforts, or if you’re looking to fine tune a sophisticated energy management program, EnergySMART will help you navigate current challenges and identify future opportunities. Follow these links for the complete agenda for the EnergySMART 2014 conference, and to register . We look forward to seeing you at the event.